Higuain has cut short his loan at AC Milan and received a lot of criticism due to that. Even Italy's interior minister, who is a Milan fan, called him a mercenary. "I'm glad that Higuain has gone and I hope we'll never see him again in Milan because he really behaved in an unworthy manner. I don't like mercenaries in politics or football," Matteo Salvini told the Italian radio on 28 January. Higuain scored 5 goals in 16 matches for Milan but wasn't as prolific as he was in his Napoli or Juventus days. Higuain's arrival in Chelsea had all sort of reactions. 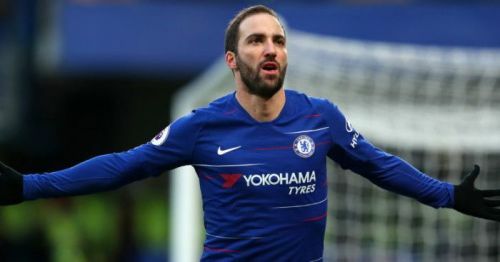 Some expected a lot from the talismanic striker, some questioned his fitness, some thought he would do no better than Morata but the Sarri-Higuain duo gave everyone a ray of hope. Higuain scored 71 times in 104 games in Serie A for Sarri and was immense in those 3 years at Naples. Morata didn't perform poorly but Chelsea fans were done with Morata's easy to fall attitude and his physicality didn't help him either. Giroud linked up well with Hazard but he was just once in the score sheet. It elicited Sarri to go back to Higuain whom he regards as his son. Higuain has already scored more than Giroud in PL in this season, just playing two games. Apart from scoring, Higuain's link up play has been tremendous. Linking up well with Hazard and Kante. Kante and Higuain duo produced two goals against Huddersfield. Did Higuain unlock Kante 2.0? Will Higuain help Chelsea to be in top 4 to qualify for Champions League? Time will tell. Rafa Benitez is known for his scouting system. He has the ability to nurture lesser-known players to a mature skilled player. He has the ability to give confidence to the youngsters and thus making a compact team with a very small budget. 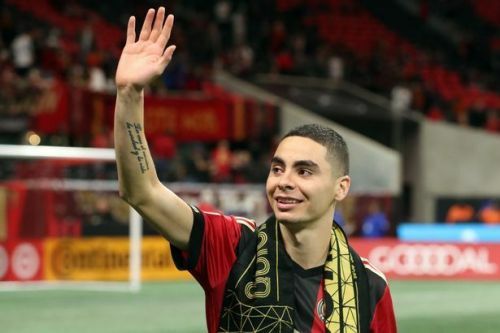 Miguel Almiron seems to be his new find. Though Almiron wasn't an unknown commodity because of his heroics in the Major League Soccer(MLS) in the U.S. with Atalanta United, it requires courage and a huge leap of faith to invest £20 on an MLS player. The fast-paced left-footed player is good with the ball. He dazzles with his dribbling skills, can provide accurate through balls, give pitch-perfect crosses and is a complete attacking midfielder. He even is a good free-kick taker and thus can share Matt Ritchie's workload. He was one of the reasons Atalanta United won its first MLS Cup. His football became so popular that his jersey has been the fifth highest seller in MLS last year ahead of the likes of Bastian Schweinsteiger, David Villa, Sebastian Giovinco and Clint Dempsey, according to ESPN. In the two years he played for Atalanta United he scored 22 goals and provided 19 assists. Newcastle front-line has been chipping in with goals frequently but they are not getting proper services from the midfield. With the addition of Miguel Almiron, Rondon and Co. would be hoping to get more services from the midfield rather than fighting all on their own in the opponent half.